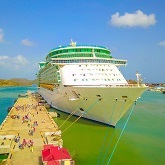 This page has some of the services that are available in Antigua including advertising, event organisers, hairdressing, spas, massage treatments, insurance, web development, design studios, internet service providers, cell networks, chef & catering services, babysitting, offshore incorporation, photography, security systems & more. 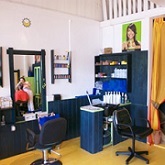 is a waterfront salon located in the pleasant atmosphere of Nelson’s Dockyard in Antigua. Their team of international professionals take the business of beauty, hair, and massage very seriously & are trained in the latest techniques and therapies to provide you with a first class service. located at Woods Centre Antigua, offers the widest range of cover for your Business and Personal insurance plans. provides individual solutions rather than using the same formula for each business. They offer Budget & Project Management, & Internet Marketing Strategies & help clearly define what YOUR business needs are. A full-service insurance agency offering coverage on all classes of insurance through NAGICO and a network of insurance providers in the London and US markets. strives to make your boating experience better by providing the best products for your needs. Our knowledgeable and enthusiastic staff is ready to help at one of our three locations, in the Jolly Harbour Marina Complex, in English Harbour and North Sound. Come in and find out why we are known as The Caribbean’s Leading Chandlery. is an A.M. Best rated insurance company offering motor, property, business, personal and marine coverage. offers a wide range of corporate offshore services including incorporation of International Business Corporations. is located in one of Antigua's oldest and most elegant resorts and is chic, luxurious and its surroundings completely soothing to the soul. has a fresh new approach to broadcasting. It is the station of choice for the area's international community with great music, regular news & weather updates and much more! is located immediately in front of the Heritage Quay cruise ship dock & they cover the entire island and offer scenic tours of Antigua. is a florist in Antigua that can cater for your every need from floral arrangements for a wedding to yacht decorations and much more. 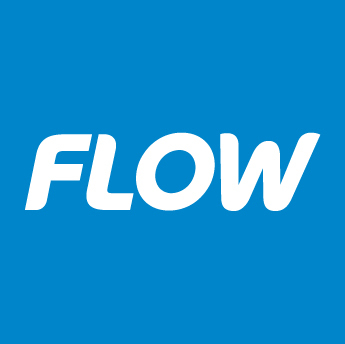 provides quality health care serving the communities of English Harbour, Falmouth, and Piccadilly. is a friendly and casual cafe situated quayside in picturesque and historic Nelson's Dockyard in English Harbour Antigua. Nicole's Table offers Caribbean cooking classes for small groups in a relaxing home setting with spectacular views of the Caribbean Sea and St. John's Harbour. Nicole's Table is the top culinary tour in Antigua, is rated 5/5 on TripAdvisor, and has received Certificates of Excellence from TripAdvisor for the last 3 years in a row. The Palms Wellness Centre, Spa, Gym and Beauty Salon at the Jolly Beach Resort offers treatments ranging from body scrubs and deep tissue massage. For the more energetic, there is a Fitness Center, 2 swimming pools, 4 tennis courts and 2 full basketball courts..
With many years shipping experience, B&B Shipping is the exclusive agent for PAS Cargo in Antigua, and delivers first-class, hassle-free service. YOU NAME IT....WE SHIP IT! is a legal firm comprised of four full time attorneys, with considerable years of experience in respective fields of litigation, company formation, intellectual property, personal injury and real estate. Their mission is to provide and promote open access to reading, cultural, recreational, intellectual, and informational resources that enables the community's diverse population to promote personal and professional growth and lifelong learning. The library emphasizes efficient, convenient access and courteous, professional service. is a hybrid post office, meaning they turn physical letters into electronic PDFs for you to view on your computer, tablet or phone. 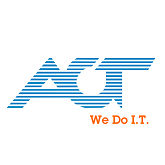 They provide a secure Online Mail Platform & great customer service. world-class, luxury yacht refitting services delivering stunning results for over 20 years. offers a modern secure facility with ample parking, 24-hour access, and CCTV security to secure your valuables.